As a Linux user, when you see your Windows-using friends cribbing about their bloated computer, you couldn't help but chuckle a bit. We all know how Windows, after a certain amount of time, tends to slow down as if a tired bull. And, despite many software that claim to remedy that problem in a jiffy, nothing works as good as a freshly installed operating system. But well, you can’t always keep formatting your system, especially on a productive machine or even your friend’s precious laptop. And that is one of the most important reasons why we’re seeing a steady growth in migration towards Linux. Linux, unlike Windows, doesn't get bloated over time, nor does it require defragmentation and frequent rebooting. And formatting, well, most Linux users have rarely reinstalled their distribution thus eliminating the rigmarole their Windows-using counterparts have to put up with. 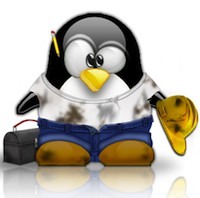 That said, it is not as if the penguinian operating system is completely free from slowdowns. Though not even nearly half as severe as what we see on Windows, Linux too does suffer from some bloats and slowdowns thanks to increase in the number of unwanted files and cookies that tend to accrue over time. Thankfully, though, there are bunch of amazing and yes free tools to help you get rid of the problem. In this article, we’ll be covering the best ones in that genre. 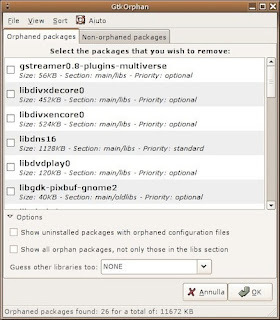 GtkOrphan is a free and open-source tool that helps you clean out orphaned libraries. A GUI front-end to deborphan, this application analyzes the status of your installations and looks for orphaned libraries. Though GtkOrphan requires root privileges, it’s not that hard a software to use. 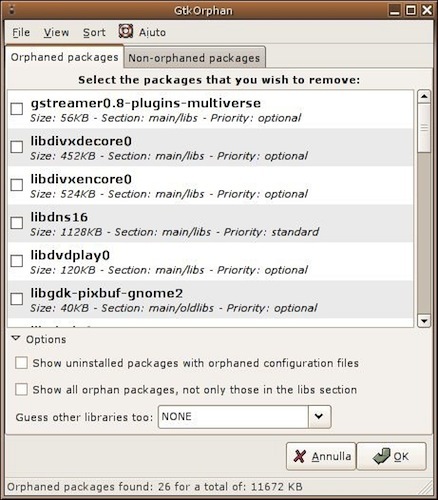 By just a few clicks, you get a list of all the orphaned packages, thus letting you choose which ones to get rid of. Oh and don’t worry about messing up your system because GtkOrphan lists the priority of the package (so that you could identify whether it is critical or not). So, it's highly unlikely that you’d end up removing an orphaned package that is going to be critical to the OS. In other words, there is a really slim chance that it would render your system unbootable. So, it’s quite obvious that GtkOrphan can be used as your primary cleanup tool if you’re facing the problem of orphaned packages. Though Ubuntu Tweak is more of a tweaking tool than a system maintenance software, it does, however, feature a nicely designed janitor that lets you clean up all the trash you wanted to get rid of. 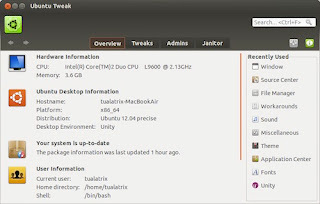 You can use Ubuntu Tweak to clean up anything from packages to rotten cache files that bloat your desktop. 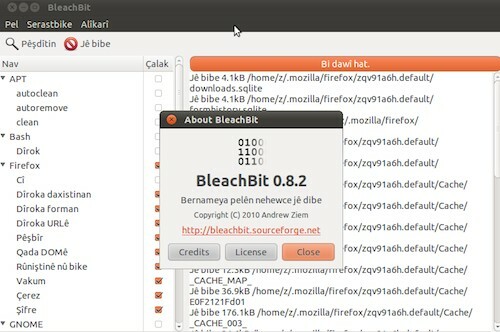 BleachBit is a free and open-source tool for cleaning up your disk space and maintaining privacy. Once installed, BleachBit can free up cache, delete cookies, clear Internet history, shred temporary files, delete logs, and discard junk you didn't know was there. The app is quite powerful and can wipe clean 90 applications including Firefox, Chrome, and Safari. Furthermore, to preserve privacy, the app is capable of permanently shredding files as well as overwriting free disk space to hide previously deleted files. Though BleachBit is a perfect fit for new users, it also has some advanced tricks up its sleeve. 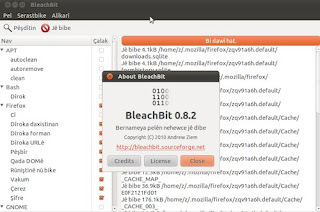 Apart from accomplishing standard cleanup tasks, BleachBit can do things like clear the memory and swap on Linux, delete the recent documents list on OpenOffice, delete Linux localizations and more. 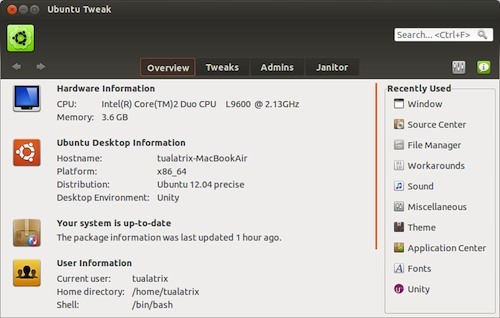 Once included in the default set of applications on Ubuntu, Computer Janitor is one of the most popular and widely used system-cleaning tools for Linux. Though it requires root privileges, it is quite simple to use and most of the new users don’t have any trouble using it. Once you start it, the tool will show you a list of all the unwanted software that’s lying around on your computer. You can then choose to remove individual packages or clean them all at once. This article will not succeed converting windows users to linux. Sorry, troll alert.